Home → Basement Mold → When Purchasing a Home, Check the Basement First. If you’re on the market for a new home, you’re probably looking for something that appeals to you visually. 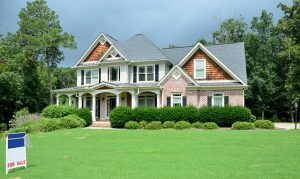 The exterior look of the home, flooring, windows and doors and floor plan are all factors that many people check first. Those are all important aspects when you consider purchasing a home. At the same time, though, you should know that the basement is also important. Making sure that the home you purchase has a secure basement free of dampness and leaks is one of the most crucial things you can do as a homebuyer. So, what should you look for? Realtor Elizabeth Weintraub points to some signs of a wet basement in her article on The Balance website. Water Stains: Look along floors and walls for water stains, and if you see them, learn more about them. They could indicate water entering the basement through windows, walls, and floors. Odors: Does the basement of the home you’re looking to purchase have a musty odor? That can indicate that there is a moisture problem. Mold and Mildew: Look in the northwest corner of the basement. If you see anything brown, black, green or yellow growing there, it could be a sign of mold and you will want to get it tested to be certain. Efflorescence: Big word, but easy to spot. If you see something that looks like white or grey ash on the walls, or something with a sparkling sheen, it could indicate that the walls have been wet. It is the salt that remains from evaporating water. This often happens in block foundations. Spalling: Most likely to happen in brick, block or stone foundations, this condition is caused by moisture that gets inside of the building material. Salt deposits left behind from evaporating water cause the material’s surface to disintegrate. Arguably, all basement types can be prone to water damage or dampness. In fact, wood basements can especially be prone to moisture damage. No matter what type of basement your prospective new home has, though, make sure it is well-inspected by a professional. If you’ve already purchased the home and have discovered water concerns, Basement Waterproofing, Inc. can help. Luckily, we have many solutions that can help you take your basement from being damp and unsavory to a great, usable space in your home.